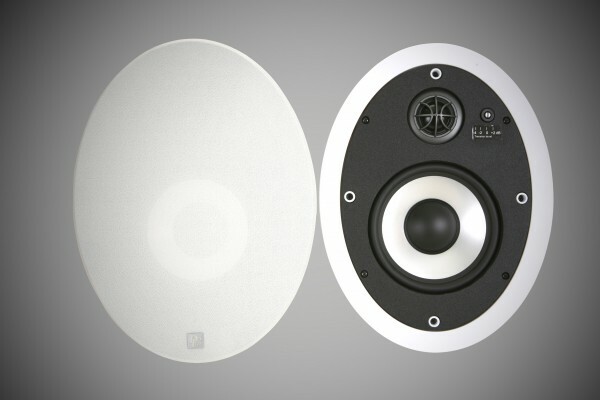 DLS IWX6.2 for ceiling or wall mount is an oval shaped speaker with a front covered with textile cloth. 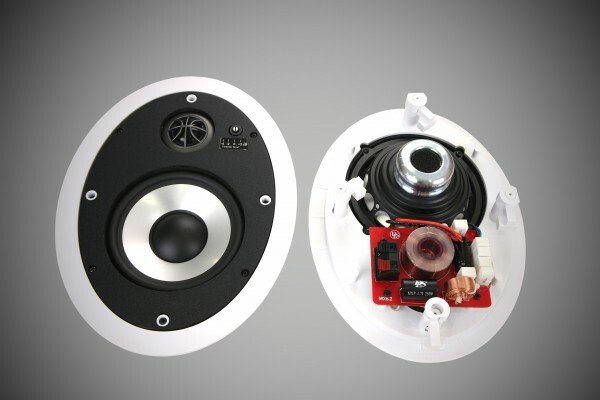 This speaker uses our last technology with aluminium cone, neodymium magnets and a 28 mm soft dome tweeter. All rigidly mounted in a wooden baffle which gives the speaker an incredibly good sound. Use as extra speakers in your kitchen or bath room. They can also be used as surround speakers in home cinema. If you have a surround amplifier with multi room function these speakers are very well suited for this application. The passive filter uses only high class components like ribbon coil and polypropylene capacitor. The filter has selectable tweeter level in four steps. Weight 1,7 kg / 3,75 lbs.